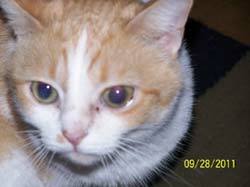 My cat Gizzy suffered with a chronic eye condition for five years. Nothing helped, and yet after one healing, improvement was evident in two to three days. She suffered with this condition for five year years. I am so happy for her! Earlier this year Bonnie also helped our rescue dog Benny who would not let us touch him plus chronic skin and ear issues. No more itching or shaking his head, he’s happier, and even lets us bathe him. I am really happy about his progress, and even my husband was impressed. Bonnie worked wonders on my sweet kitty Snooki. Snooki has struggled with urinary problems for the last two years. During her most recent flare-up the vet told me that she had a UTI and after four weeks and two rounds of different antibiotics didn’t work, I knew I needed to call Bonnie as she cured my other cat of his chronic eye problems that the vet couldn’t get under control. I knew the vet would simply say that she has crystals or stones and needs surgery but I knew Bonnie could help… and she did. A few hours after her first-and-only healing, Snooki produced the largest volume of pee I have ever seen in all the years that I have had her and it was crystal clear! This was so relieving as for weeks her blood was very red and she strained to urinate and when she would only tiny amounts would come out. She has been better ever since! And on top of it all her coat is the shiniest I was ever seen. Bonnie is gifted and her work is real. I’ve never experienced anything like this before and I am so thankful that Bonnie came in to our lives! 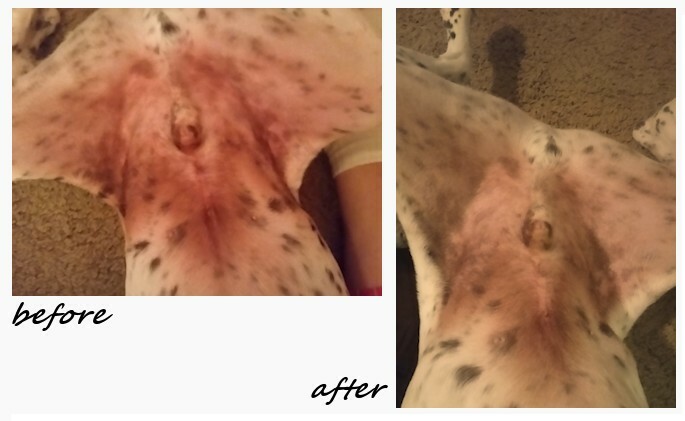 A client emailed these pics of her dog’s tummy prior and after a healing session. The right diet & energy healing has helped 100’s of clients over the years with skin issues. Even if it appears that the drugs help, they create OTHER symptoms down the road. Taz is a new creature of happiness and curiosity. He is always running around, eyes alert, and his body has changed drastically. He has more energy than ever! I just wanted to thank you for sharing your gifts with my family and I. We are so grateful to you for your support and your spirituality. We are a little happy family… and you are a part of it. Just know you helped this little guy so much… he is grateful and so I am. Thank you! After two healing sessions, Benny is his silly little self again! When you treat Benny, it WORKS, and I don’t have the experience of cringing as I hear him yelping behind the closed door at the vet. I’m practical. It’s simple. What you do works. 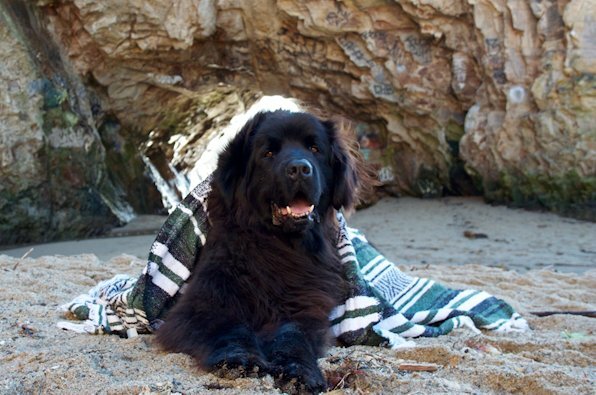 My 10-year-old dog Oso was hospitalized due to seizures. He wasn’t eating or walking. After 3 days in the hospital, the vet recommended euthanasia. I contacted Bonnie who recommended I get him out of the hospital & off all the drugs. After one healing session, I saw improvement. We did another healing session & he quickly began his full recovery of eating, pooping, & walking. It’s been over a month, and he continues to do well, no seizures, & no longer on thyroid meds that he’d been on for years. Intuition and care are Bonnie’s close companions. I enjoy working with her. Dawson as a kitten almost died from distemper. Upon recovering his walking was severely compromised. The foster “mom” contacted Bonnie. This video shows Dawson’s “before & after” the healing session. 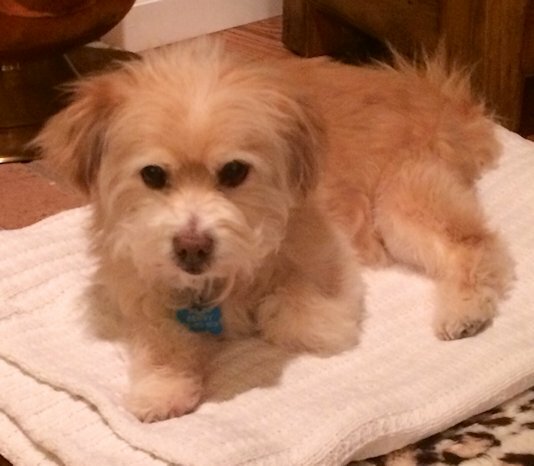 Roxy had an intense need for water—licking water from a bath tub, sidewalks, etc. 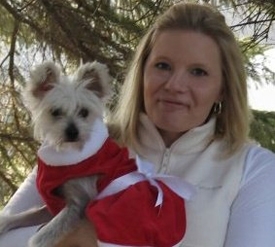 After extensive testing at the University of Minnesota provided no help for Roxy, her caretaker contacted Bonnie. 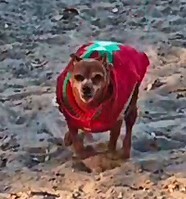 This video was taken by Roxy’s “mom” explaining how things improved with energy healing work & diet advice from Bonnie. After six vets, surgeries, & drugs, I’m seeing my dog’s eye improve after the first healing AND no more drugs! Since your healing, she is resting, which is quite a change from the constant crying past two days–even my husband noticed a huge difference. You were right that teeth were extracted from left side! She is very happy now! Thank you. 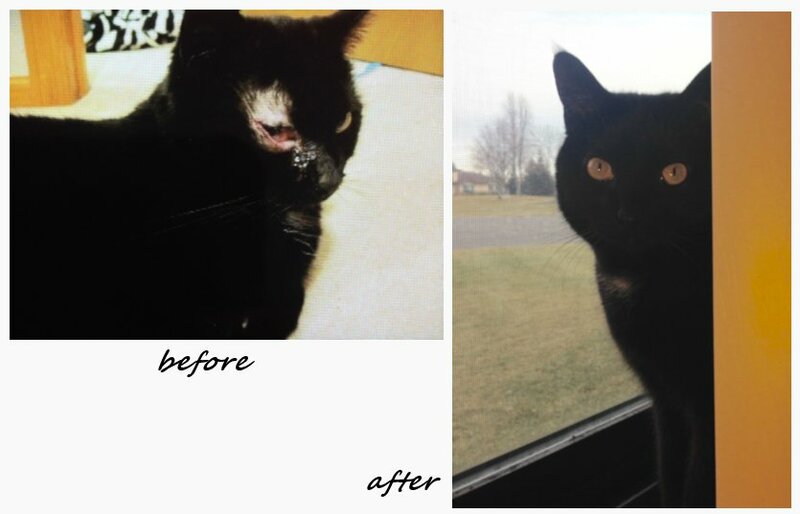 This cat suffered many months with vet visits & drugs without any improvement. We saw total improvement after two healing sessions. 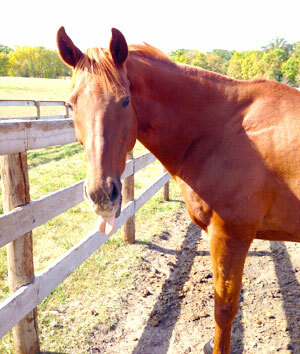 Star, a former race-track horse, came to us with a history of being medicated for 5+ years for chronic ulcers. Star also had a dull look to his eyes and emotionally checked out. Each time we tried to wean his medications, his condition would worsen dramatically. Even with the great conventional and alternative team we have for our horses, we were not achieving long-lasting results and consistent vitality. The person who delivered results was Bonnie. After two sessions Star’s eyes were brighter, interacting with other horses and handlers, visibly more relaxed and happy, plus where he normally held tension were much improved. We did a couple more sessions and then took him off his medications. He started to gain weight which had always been a concern and his overall health improved even more. Wanting a second opinion, I scheduled our acupuncturist; after assessing him she declined treatment saying he was in great condition, remarking this was the best she’d ever seen him. I’m so thankful to Bonnie for her work at a fraction of the cost of the medications and acupuncture he’d been on long-term, and the untold price Star was paying for the long-term effects of drugs all those years. Even his chronic cribbing has improved tremendously, a behavior I could not have expected to have changed. Thanks Bonnie! 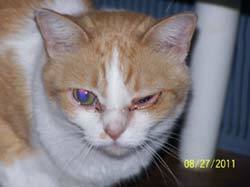 Eye Ulcer was the vet’s diagnosis. After months of drops & ointments, Bonnie was called. WALKING!!!! 200-lb. Leonard could not even stand up by himself when I first worked with him a couple of months ago!!! For over a year our 200-lb Leonard was unable to get up on his own, paws curled under, legs criss-crossing – signs of Wobblers Disease. After numerous vet visits & holistic modalities, we called Bonnie. He is now getting up on his own, walking and doing stairs. Also his chronic panting, skin & ear issues have cleared up. 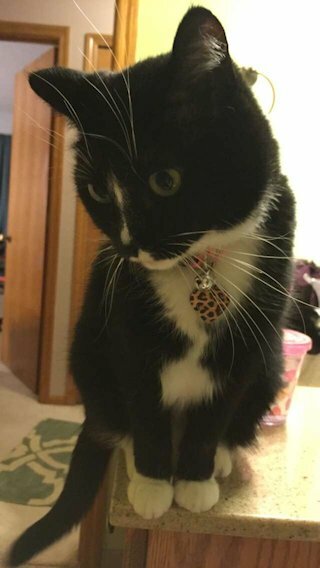 My cat Moose had his first grand mal seizure around 3 years old. 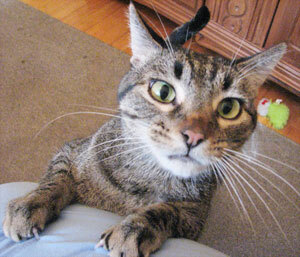 Tests came back negative; my holistic vet modified his diet and added supplements. 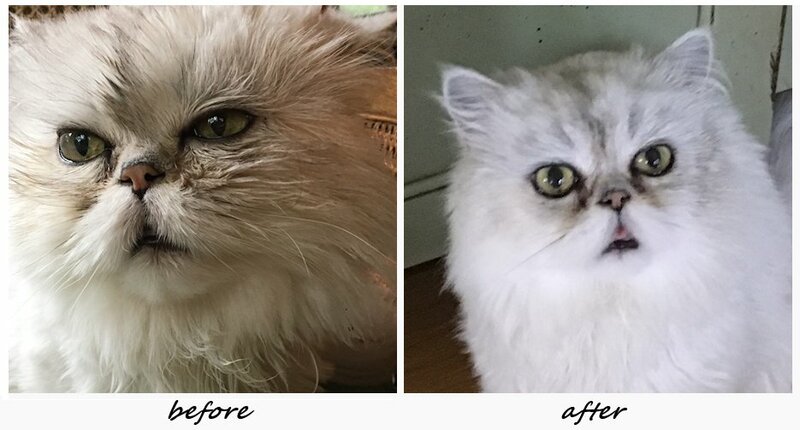 Because he never had more than one seizure a month, we kept him medication free. Then when he was 7 years old, he had 4-5 seizures in several days. He had no energy, eating less, eyes squinting as if in pain, his nose dripping constantly, and isolating. Again vet tests came back “normal”. My vet recommended anti-seizure medication and more supplements. I was not convinced medication was the answer due to side effects. I feared I was losing Moose and decided to call Bonnie. I saw dramatic improvement after the first healing. It took about 4-5 healings over six weeks to maintain consistent improvement. Now three months later Moose continues to eat well, not taking a single supplement and has not had a seizure. His eyes are bright and wide; he prefers to be on the couch with everyone else! He’s content and relaxed. Not only is Moose doing better but so am I. Bonnie is very kind, concerned for the animal, and also recognizes the significant relationship between you and your animal companion. Bonnie is highly accessible if you have questions after the healing, is open to ideas, yet gives clear and direct recommendations. Almost every day I recognize that Moose has a better quality of life; I remind him that we have “Aunt Bonnie” to thank for that. we don’t know why it still surprises us that Bonnie is so accurate! Over the years we’ve seen dramatic turnarounds and other times more subtle shifts, but our animals are always visibly brighter and more at ease after a healing session. We’re grateful for your amazing gift, Bonnie! 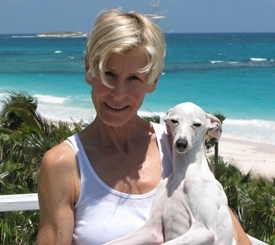 Our seven-year-old Italian Greyhound, Chio, had rarely felt well his entire life. He suffered from bloody stools, churning stomach, and often vomited bile. Many days he refused food and couldn’t keep weight on. We consulted many vets who all suggested different diets and prescriptions. We spent a fortune in vet bills and pharmaceuticals. Chio then began to have seizures and uncontrollable head shaking. A friend suggested we call Bonnie. The results of the healing were immediate, and now nine months later, we can honestly say that Bonnie’s healing, combined with her diet and exercise advice, have given Chio a new lease on life. It was a life-saving decision! Our feral cat, Gypsy, got caught in the fan motor of our truck, injuring her rear legs causing her great difficulty to walk. Bonnie helped my indoor animals and so I called her for Gypsy. Gypsy showed improvement with each healing session, and now over a year later there continues to be NO sign of her injury, not even the slightest limp. When she got hurt, we lost her trust, but we’re regaining it. Here’s a picture that shows how close she will let me get to her. We can even sneak in a stroke or two sometimes. I just wanted you to know how very, very grateful I am to you for your healing work on Gypsy. You were able to take a very sad situation and turn it into a wonderful outcome. Bless you! Stella, Chinese Crested, was a year when three tumors appeared within a four-week period. The vet prescribed a topical steroid with the hope it would shrink them. It was a grotesque medication that left me in tears and kept Stella on the run from me when she saw me coming with it! Not seeing any change, I called Bonnie after a reference from a friend. I was skeptical but was also so sad over my helplessness. After one healing I was stunned to see Stella’s tumors shrink in size and two weeks later the tumors were gone plus other symptoms that I had dismissed such as excessive swallowing after eating, trying to eat the carpet, and panting alot. Bonnie helped me see that these symptoms did mean something about Stella’s condition. Bonnie is truly gifted. 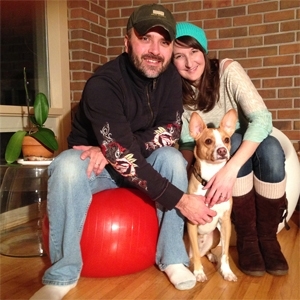 Her healing ability combined with practical health advice, turned Stella around. Stella is acting like a puppy again, better than she was before the tumors even appeared! Plus our connection to one another strengthened: Stella seemed to understand that I was doing something for her to help her feel better. She was perkier, happier, and acted more youthful. I’m very grateful that Bonnie has such a beautiful gift with animals! 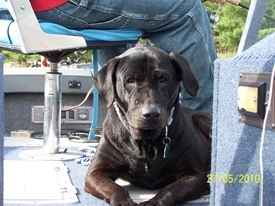 Ruby, our 13-year old Lab/Rott mix, was in a great deal of pain when we called Bonnie in 2009. Ruby could not get up on our bed, would whimper and squirm during the night. She was unable to walk more than 12-15 feet and would then collapse, crying in pain. Her back-end would not work without extreme pain! She trembled and cried when she held herself to pee. She was licking and itching excessively and had dry, flaky skin. Her breathing was labored and asthmatic sounding. We were sure we were going to lose her. With the healing sessions and diet change, her demeanor improved immediately. Over the next couple of weeks Ruby began to be playful for her age, and her pain seemed to all but disappear. She was able to jump in and out of the car and yes, back on our bed! She still scratches and licks a bit but decreased dramatically, and her coat is now shiny and the dry patches are gone. Ruby loves to swim and get in the boat and go fishing. We are very grateful for Bonnie’s help with our precious girl.